As Supreme HOH, Tereza has nominated Gemma & Tamar for eviction. This challenge works similar to Family Feud. I've polled 10 random rtvg users. They were asked what is the first song that comes to mind for each artist. The most popular answers are on the board. The more popular answers award more points. You can name 3 songs per artist. Congratulations Jodie Muah! You have won the Power of Veto! Jodie has decided to use the Power of Veto on Tamar. Gemma has received her third strike and is evicted from Big Brother: Coven. ooc: I decided this would cancel the eviction because this is the third person removed for inactivity and I couldn't risk 2 people leaving this round. Since Gemma has been removed, welcome back Rockstar - Phoenix to the jury!!!! Jodie: That's how you muah da ve'o, ladeeyhz! Last edited by Remco; 04-07-2019 at 03:29 PM. Time to find the seventh Supreme HOH of the season. Everyone will have the opportunity to compete in the HOH competition, except Michelle as the outgoing Supreme. ↳ This challenge has a 10 minute time limit. ↳ This challenge DOES require FLASH & Image uploading. ↳ Ties will be broken by score, tiebreaker then submission. The results of the HOH competition & social lists have been calculated. You've each been ranked based on performance in the competition, which will be worth 70% of your overall ranking. You will be ranked based on your social list which will be worth 30% of your overall ranking. Concilium was used on Daniella's list. Concilium was used on Tereza's list. Screenshot and send me back your score. Congratulations Natalie! You are the Supreme HOH! why is the jodienator last!!! I'm nominating Jodie and Tamar Sorry girls, this was awful... good luck in the veto. As Supreme HOH, Natalie has nominated Jodie & Tamar for eviction. 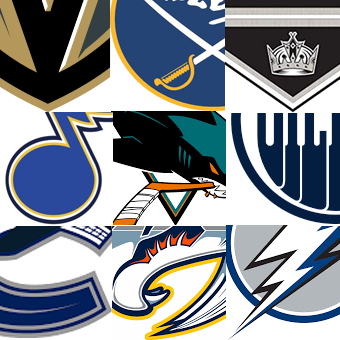 For this challenge you must identify the 6 NHL teams in the picture below. Congratulations Tereza! You have won the power of veto. You now have the option to save either Jodie or Tamar from the block. If you do Natalie will have to name either Rocky, Michelle or Daniella as a replacement nominee. Please post your decision asap. As Supreme HOH, Natalie nominated Jodie & Tamar for eviction. After winning the POV, Tereza decided to keep the nominations the same. Everyone except the two nominees will vote to evict either Jodie or Tamar. Natalie will only vote in the event of a tie. ↳ 24 hours to vote. The votes have been calculated and the third person leaving the Coven has been determined. Natalie as HOH, was asked to break the tie. Tamar, you have been evicted from Big Brother: Coven. OOC: Sorry to see you go Tooch! You put up a good fight but ultimately you weren't able to pull this one off. You will be back to help crown a winner at the finale.